After dropping a stick of 7, C-47 begins a starboard circuit to rejoin the stream for the next stick. The Reports of General MacArthur were printed by General MacArthur's Tokyo headquarters in 1950. Since they were Government property, the General turned the reports and their related source material over to the Department of the Army in 1953. In Army and National Archives custody these materials have been available for research although they have not been easily accessible. While he lived, General MacArthur was unwilling to approve the reproduction and dissemination of the Reports, because he believed they needed further editing and correction of some inaccuracies. His passing permitted publication, but not the correction he deemed desirable. In publishing them, the Department of the Army disclaimed any responsibility for their accuracy. But the Army also recognized that the reports have substantial and enduring value. The preliminary work for compiling the MacArthur volumes began in 1943 within the G-3 Section of his General Staff, and was carried forward after the war by members of the G-2 Section, headed by Maj. Gen. Charles A. Willoughby with Professor Gordon W. Prange, on leave from the University of Maryland, as his principal professional assistant. The very large number of individuals, American and Japanese, who participated in the compilation and editing of the Reports would make a complete listing of contributors relatively meaningless. After the capture of Zigzag Pass and the opening of Highway No. 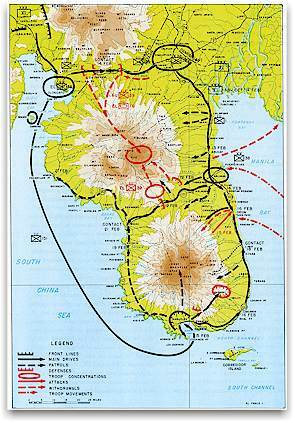 7 on 14 February, XI Corps continued on its mission to occupy Bataan Peninsula and clear the entrance to Manila Bay. To strengthen the Corps, one regiment of the 6th Division, the 1st Infantry which had been relieved at Urdaneta by the 25th Division on 18 January, was attached to the 38th Division. For the recapture of Bataan, two forces were designated to carry out simultaneous operations along both sides of the peninsula. 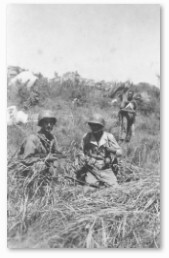 On 15 February, a "South Force" of the 151st RCT, 38th Division, sailed from Olongapo on Subic Bay and landed at Mariveles on Bataan's south coast to take up the advance northward along Highway 110. (Map No.79) Meanwhile an "East Force" of the 1st Infantry, 6th Division, moved overland from Dinalupihan on the northern end of this same highway and advanced down Bataan's east coast to establish contact with the "South Force". The 1st Infantry also had the mission of securing Highway No. III which runs laterally across Bataan from Pilar on the east to Bagac on the west. The "East Force" seized Pilar without opposition and, after , diverting two battalions westward along Highway No. 111, it continued south against scattered resistance to take Orion and Limay in quick succession. Progress of the "South Force" was delayed only by a group of fortified enemy pillboxes in the mountains immediately northeast of Mariveles. This obstacle was quickly eliminated, however, and the advance was resumed. By 18 February, both forces had joined at Limay to occupy the entire length of highway along the east coast of Bataan. A co-ordinated attack by 38th Division forces, assisted by Fifth Air Force planes, dislodged the stubbornly resisting groups of Japanese infantry who were deeply entrenched near Bagac along Highway No. III. By 21 February, the 38th Division had secured all objectives on the peninsula. Thus, within the short space of seven days, Bataan was once more in American hands. Just as in the dark days of 1942 when the fall of Bataan had preceded the capitulation of Corregidor, so now, almost three years later with the roles of the opposing armies completely reversed, the recapture of the peninsula was a prelude to the recovery of the "Rock". Corregidor had been pounded steadily from the sea and air since the last week in January. In addition to the heavy naval shelling, the Fifth Air Force alone had dropped over 3,000 tons of bombs and napalm in some 2,000 sorties, shattering the island's outer fortifications and crumbling the exposed concrete installations into a mass of jagged rubble. On 16 February, after a last powerful naval bombardment, XI Corps launched a co-ordinated airborne and seaborne invasion against the strategic rock fortress. (Map No. 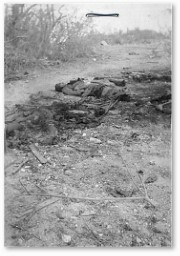 80) A battalion of the 503rd Parachute Infantry made the first assault, dropping on the western portion of the island; it was followed shortly afterward by a battalion of the 34th RCT which landed by water on San Jose beach slightly southwest of Malinta Hill. Another battalion of airborne troops was dropped later that afternoon but because of the extremely rough terrain in the landing area and the increasing casualties from heavy enemy fire, the third battalion of paratroops came in by water on the following day. The 503rd Parachute Infantry and the battalion of the 34th RCT quickly joined forces to eliminate the main system of cave and tunnel defenses running through the Malinta Hill district. The Japanese fought to the bitter end, defending each position with devastating fire. Rather than be dislodged by the irresistible onslaught of tanks, bazookas, and flame throwers, they blew up many of their tunnels in suicidal desperation. 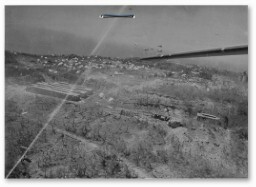 During the night of 23 February, a terrific explosion from the vast ammunition stores in Malinta Hill shook the entire island of Corregidor and sent its reverberations along the whole of Manila Harbor. Although these self-sealing tactics did cause many casualties to American troops caught in the immediate vicinity of the blasts, the over-all effect was to lighten the task of cleaning out each individual cave. 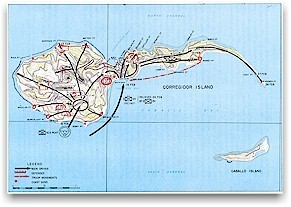 By 27 February, the American forces had seized complete control of all commanding ground on the island, and on the next day Corregidor was pronounced secured. The twelve-day fight had been vicious and bloody. Virtually the entire Japanese force of 4,700 troops had been annihilated with only a handful taken as prisoners-somber and undeniable attestation to the tenacity of the enemy's resistance. Another chapter had been added to the long story of bitter battles that characterized the campaigns in the Southwest Pacific Area. Copyright © 1999-2010, All Rights Reserved to the named authors, The Corregidor Historic Society & The 503d PTCT Heritage Bn. 69 This staff included Generals Sutherland, Willoughby, R. K. Marshall, Marquat, and Casey. Even before the outbreak of the war these officers had been associated with General MacArthur, serving with the Military Advisor's Group, with the Philippine Department, or with USAFFE. 70 HQ XI Corps, Historical Report, Luzon Campaign, Section V, p. 12.